The top ten titles that public library staff most enjoyed recommending in 2014 have been announced. As part of LibraryReads first-year celebration, library staff members across the country voted on their favorite LibraryReads’s picks from the monthly lists beginning with the first one in September, 2013. 1. 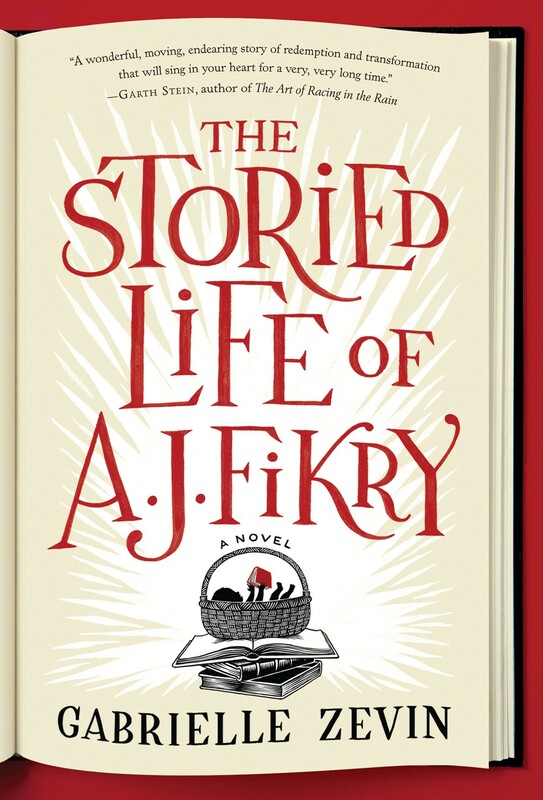 The Storied Life of A. J. Fikry by Gabrielle Zevin. A middle-aged bookseller mourning his lost wife, a feisty publisher’s rep, and a charmingly precocious abandoned child come together on a small island off the New England coast in this utterly delightful novel of love and second chances. 2. The Rosie Project by Graeme Simsion. Don Tillman, a brilliant geneticist, thinks that having women fill out a six-page, double-sided questionnaire before a date is logical and reasonable. Rosie Jarman, an impetuous barmaid, thinks Don should loosen up and learn to live a little. Follow the unlikely pair in this laugh-out-loud, feel-good story of unexpected joys, discovery and love. 3. All the Light We Cannot See by Anthony Doerr. Set during World War II Europe, this novel is sobering without being sentimental. The tension builds as the alternating, parallel stories of Werner and Marie-Laure unfold, and their paths cross. 4. Fangirl by Rainbow Rowell. At turns funny, sweet, smart, and sad, Fangirl traces Cath’s journey to independence as she begins college, struggles to have an identity separate from her twin sister, find her voice and passion as a writer, and fall in love for the first time. 5. The Goldfinch by Donna Tartt. Readers who love the novelist for her richly developed, dark, multi-layered characters and thoroughly researched topics will not be disappointed. Tartt pulls together many threads of a story across a long span of pages and into a complete masterpiece. 6. We Were Liars by E. Lockhart. This brilliant and heartbreaking novel tells the story of a prestigious family living on a private island off the coast of Massachusetts. Full of love, lies, secrets, no shortage of family dysfunction, and a shocking twist that you won’t see coming. 7. Station Eleven by Emily St. John Mandel. An actor playing King Lear dies onstage just before a cataclysmic event changes the future of everyone on Earth. What will be valued and what will be discarded? Will art have a place in a world that has lost so much? What will make life worth living? 8. One Plus One by Jojo Moyes. A single mom, her math genius daughter, her eye-shadow-wearing stepson, a wealthy computer geek and a smelly dog all get into a car…it sounds like the start of a bad joke, but it’s actually another charming novel from Jojo Moyes. 9. Landline by Rainbow Rowell. Landline explores the delicate balance women make between work and family, considering the tradeoffs and pain. Rowell has a special gift for offering incredible insights into ordinary life. Never heavy-handed, Rowell’s writing is delivered with humor and grace. 10. Longbourn by Jo Baker. Using Pride and Prejudice’s familiar setting and characters, Baker tells a very different story of family, love and self-discovery.beautiful, uplifting novel full of mystery, hope and romance. Highly recommended for Austen fans and historical fiction readers.